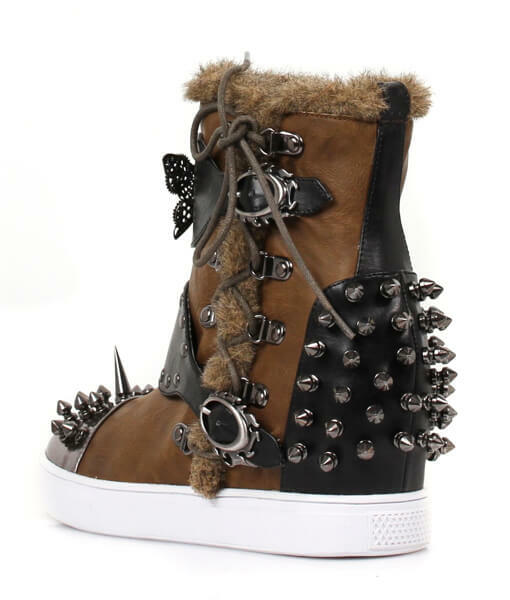 Hades takes on the sneaker wedge with the Phelan. 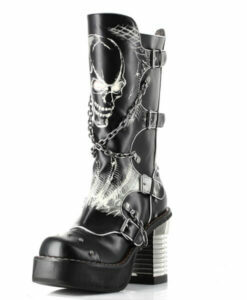 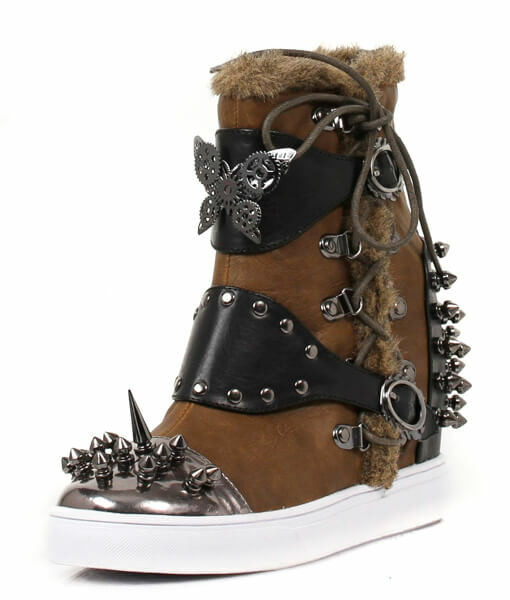 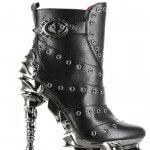 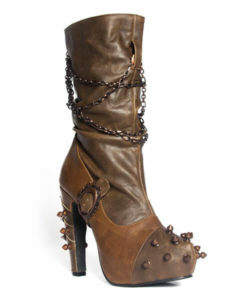 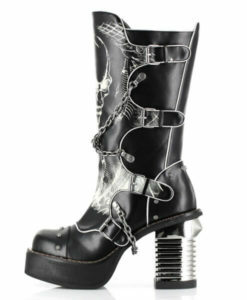 Features faux-fur trim, lace-up design on the side, Hades signature metal butterfly, and adjustable flame buckles. 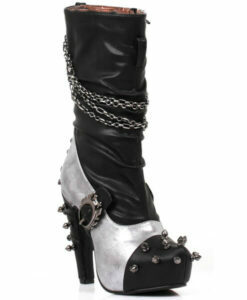 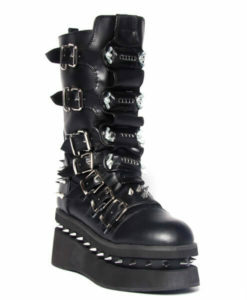 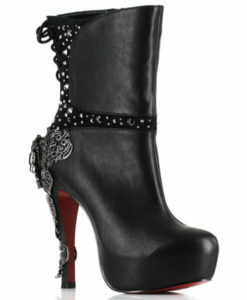 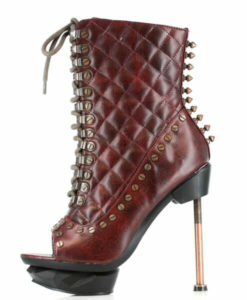 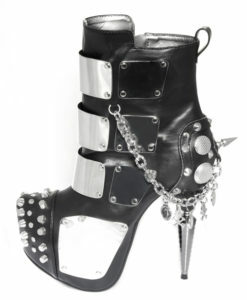 The spikes on the toe and heel add Hades’ edgy touch. 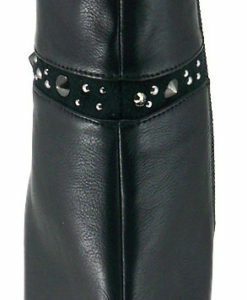 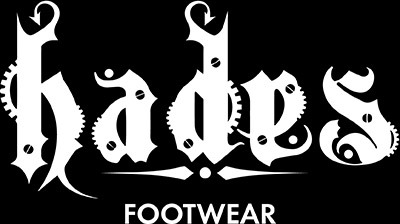 The 1.5in hidden wedge makes this sneaker extremely comfortable and side zipper makes it easy to put on.